Entrepreneur ranks Anytime Fitness the #1 franchise in the world. Anytime Fitness is the world leader in the 24/7 fitness market, offering convenient and affordable fitness options in friendly, well maintained facilities with state-of-the-art equipment. Now is the time to own a recession-resilient, top-ranked fitness franchise! Be your own boss with a low cost, fixed fee, minimal employee franchise. Now, more than ever, the fitness industry is poised to make a positive impact on people’s lives. Health care costs are out of control and obesity is the #1 cause of health problems worldwide. Nearly a million people join health clubs each year, pushing membership to 41.3 million people nationwide*. This number is likely to grow as more people commit to an active lifestyle, often spurred by the increasing number of corporate wellness programs, senior programs and health insurance incentives. *Source: www.IHRSA.org/American Sports Data Health Club Trend Report. 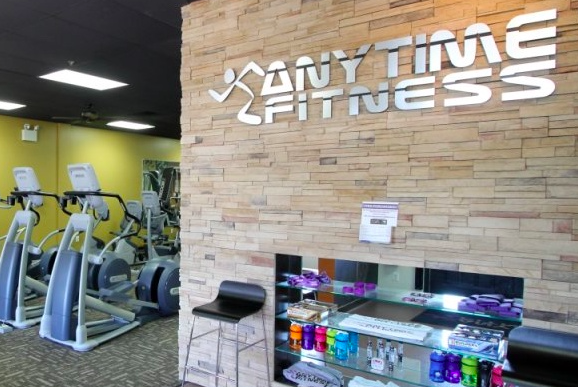 As an Anytime Fitness franchise owner, you will be in a position to offer convenient, affordable fitness solutions to the people in your community. Your members will enjoy 24/7 gym access via a key fob locking system, as well as access to more than 1,800 other Anytime Fitness clubs. Our state-of-the-art payment processing, check-in and security system technology also provides added benefit to you by minimizing payroll costs and allowing you to enjoy your personal life outside of work. 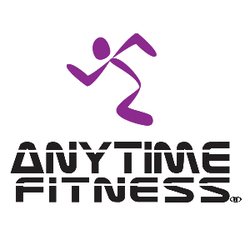 Anytime Fitness provides a convenient and affordable recurring-revenue business model. The resources and support provided enable you to enjoy the freedom of a healthy work/life balance. Low payroll: 10% vs. the fitness industry standard of 45%. Proprietary access software, security and surveillance technology. Finance and real estate assistance. Added value - Anytime Fitness is staying on the cutting edge by offering members value beyond the club’s walls. Anytime Health is a comprehensive open-access web portal dedicated to nutrition, fitness, disease prevention and management. It's essentially a one-stop shop for all of your members' health and wellness needs, and includes virtual trainers, a diet tracker, activity tracker, workout planner, and a robust community with support groups and a unique question and answer section. Anytime Fitness is the first and only co-ed fitness franchise in the world, with more than 2,500 clubs open. Anytime Fitness clubs are now open in all 50 states, and in Canada, Mexico, Australia, New Zealand, England, Ireland, Scotland, Spain, Chile, Grand Cayman, Poland, Qatar, the Netherlands, Japan, India and Singapore. Nearly 40% of Anytime Fitness franchisees own multiple clubs or franchise territories. Franchise Direct lists Anytime Fitness in its Top 100 Global Franchises, 2015. Entrepreneur magazine ranks Anytime Fitness #1 on its “Franchise 500” list – and #1 in the “Fitness Businesses” category (January, 2014). Anytime Fitness is also ranked #4 on Entrepreneur’s “Top Franchises for Military Veterans” list (November, 2013) and #10 on Entrepreneur’s “Top Global Franchise” list (July, 2013). Franchise Times magazine (March, 2014) ranks Anytime Fitness #7 on its “Fast and Serious” list of fast-growing franchise systems that also have staying power. Forbes magazine (February, 2013) names Anytime Fitness one of “America’s Most Promising Companies.” Anytime Fitness ranks #14 on the 2nd annual list. Inc. magazine (August, 2013) places Anytime Fitness on its “Honor Roll” for being a five-time Inc. 5000 honoree. “#1 Co-Ed Fitness Club in the World” (2,345 open clubs). #3 on the “Number of Members” list with 1,795,000. #7 on the “Revenues” list with $484,000,000 (FY2012). Minnesota Business magazine (June, 2013) ranked Anytime Fitness the #1 Best Company to Work For in Minnesota (large companies) – for the 2nd year in a row! For (4) straight years, we have been named one of the “Top 50 Franchises for Minorities” by the National Minority Franchising Initiative. For (5) years in a row, Anytime Fitness has been honored a “Top Military Friendly Franchise” by GI-Jobs. The Minneapolis Star Tribune honored Anytime Fitness one of Minnesota’s “Top Workplaces” – 2012 & 2013. More than 1,000 clubs opened over the past 4 years. A new club opens approximately every business day. Expect to open club #3,000 in 2015. A new member joins every 3 minutes. Royalty fee: $549 per month for an Anytime Fitness center and $449 per month for an Anytime Fitness Express center. The franchisor will provide a training program held over the course of 2 weeks that will generally last 10 business days. The franchisor will not require franchisees to attend each training week consecutively; however they will be expected to attend the first half (generally 5 days) of the training program within 90 days of signing the Franchise Agreement. Franchisees will be expected to attend the second half (generally 5 days) of the training program before opening the Anytime Fitness center. The principal operator of the business must attend and complete training to the franchisor’s satisfaction before the franchisee opens the Anytime Fitness center. In addition, if the principal operator is not also the person that will own a controlling interest in the Anytime Fitness center, then the Principal Owner of the business must also attend and complete this training to the franchisor’s satisfaction before the franchisee opens the Anytime Fitness center. During the term of the Franchise Agreement, there is additional training required in order to stay current on the policies, procedures, and techniques of operating an Anytime Fitness Center. The Principal Owner is also required to attend the annual conference.